A blend of: orange, tangerine, lime, lemon and vanilla. 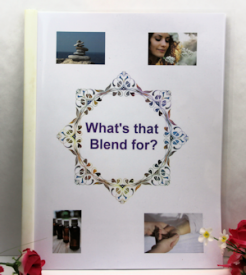 One of our great customers had to call us and tell us that he had created this blend using our essential oils and just had to share it with us. He gave us his recipe and permission to make it up to sell. WELL. It is a totally awesome blend. It is a dreamy vanilla citrus blend. We tested it out in one of our new Mini Warmers using the fiber bits. What more can we say but - WOW! JUST SIMPLY - diffuse and DREAM! This oil is for use in Diffusing and/or inhalation. Use in any diffuser, inhaler or jewelry. 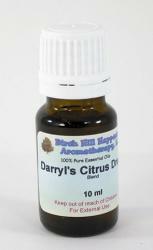 Do not apply to the skin if sun exposure is possible due to the citrus oils in this blend. Days when you are feeling down or sad. It is bright and uplifting. Meditation or other mindful activities! 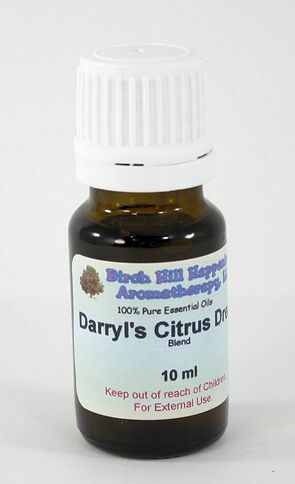 Darryl's Citrus Dream I can definitely smell the Tangerine, Lime and Vanilla. Smells delightful. I also use this in my diffuser in my bedroom before I go to sleep. This one is well worth the money. Great citrus blend. Reminds me of an orange dreamcicle. Love it in my diffuser!